(DBZH Deutsches Beratungszentrum für Hygiene) and other industrial partners. we offer a multi-faceted service dedicated to hygiene management and the provision of sterile medical supplies. We can answer your questions concerning hygiene for private practices, nursing services, and nursing homes. After having discussed individual needs ranging from supplying endoscopies to disinfecting high risk areas, we tour your facility and deliver a hygiene and infection control concept to meet your needs. (DBZH Deutsches Beratungszentrum für Hygiene) provides service concepts for all your questions concerning hygiene in hospitals, rehabilitation clinics, and day clinics. You receive first-hand expert support options such as hotline consultations, facility hygiene inspections, surveillance of nosocomial infection, and antibiotic stewardship programs. Alcohol hand disinfectant is the most important precautionary measure a hospital can take to prevent the spread of infections. Disinfectant not only contributes to patient safety but also to the safety of medical staff. Although the use of alcohol hand disinfectant is relatively harmless, daily use can lead to dry and itchy skin and in some cases even trigger an allergic reaction. As a result, attention to hand hygiene is declining as many conventional hand disinfectant products contain unnecessary dyes and aromatic substances, which when used regularly, may cause sensitization. The Department of Environmental Health Sciences at the University Medical Center Freiburg recommends using hand disinfectant products free of such dyes and aromatic substances. Two projects showed that dye- and aromatic-free hand disinfectant products can be used in medical facilities. As a result, the University Medical Center Freiburg will exclusively utilize these dye- and aromatic-free preparations in order to prevent medical staff sensitization. The range of disinfectant products used in Freiburg include Sensiva® (Schülke), Softa-Man® pure (B. Braun) und Skinman® clear (Ecolab), Sterillium® classic pure (Bode Chemie). 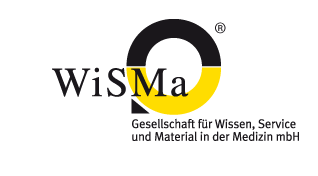 WiSMa Ltd. supplies these products to our partners in the health care industry as part of a nationwide campaign in Germany called „Clean Hands“, which is based on the WHO global campaign ‘Clean Care is Safer Care’.